LARKANA: After the new notification issued on Tuesday of fresh delimitation, two National Assembly seats and four Provincial Assembly seats have been kept intact in Larkana district. According to the election commission notification, NA-200 and 201 will be in Larkana district along with four provincial assembly seats have also been renamed as PS-10, 11, 12 and 13. Benazir Bhutto always contested election from this constituency which was spread within two districts of Larkana and Kambar-Shahdadkot which has now been bifurcated and confined to Larkana district only. Another constituency 201 has been formed which include five UCs of Larkana, two circles of Larkana-e Beero Chandio and Kanga, Bakrani and Dokri taluka. After this, the old NA-204 will cease to exist here. Likewise, old PS-37 will now be called PS-10 which will include entire Ratodero taluka and Akil circle of Larkana taluka. UC Wada Mahar has been excluded from this constituency. 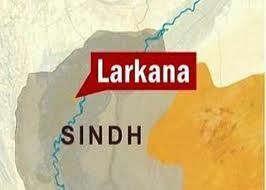 PS-36 will now be called as PS-11 consisting 15 UCs of Larkana, from UC-1 to 15. PS-35 will henceforth be known as PS-13 which will include Bakrani and Dokri talukas excluding Abad circle. Unar family has always been contesting on this constituency against PPP candidates but the home village Abad of Unar family has now been excluded from this constituency. PS-12 has been made in place of PS-38 which will include two circles of Larkana taluka including Kanga and Beero Chandio, Abad circle and five UCs of Larkana from UC-16 to 20.